When I get an email from David Williams, I pay attention. 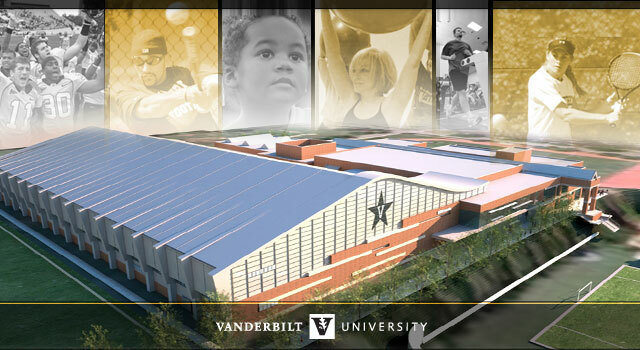 I'm sure many of you got an email this morning from Vanderbilt's Athletics Director and Vice Chancellor for Athletics and University Affairs asking you to contribute to Recreation Center and Multipurpose Facility Expansion. Allow the VSL Braintrust to echo those sentiments. While we haven't been the most active bloggers lately, VSL is still very much alive. It is an incredibly exciting time for Vanderbilt athletics and to be a Commodore fan. The university has made an unprecedented financial commitment to athletics and is now asking us - the fans - to do the same. You don't have to give much, but whatever you can give ($5 is $5 they didn't have until you gave it to them) will go a long way in helping Vanderbilt and Vice Chancellor Williams build the facilities we need to compete. Please consider contributing today, and if you do, tell them you are a part of VSLNation.